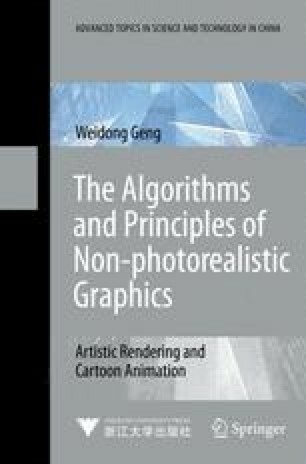 Non-photorealistic computer graphics has created an intriguing new field espousing expression, abstraction and stylization in preference to traditional computer graphics concerns about photorealism. It has two complimentary goals: the communication of information using images and rendering images in interesting and novel visual styles which are free from the traditional computer graphics constraint of producing images which are life-like. Many artistic and visual styles have been realized in non-photorealistic computer graphics, including interactive and automated systems for drawing and painting [Sayeed & Howard, 2006]. There is an international symposium NPAR (non-photorealistic animation and rendering) dedicated to non-photorealistic computer graphics, sponsored by the ACM SIGGRAPH and in co-operation with Eurographics. In 2009 it is the second time for NPAR to be collocated with SIGGRAPH, and this allows us to raise attention to this important field, and to open it to new people from academia, arts and industry.